Just minutes from Main Street, Russ Park might as well be another world. 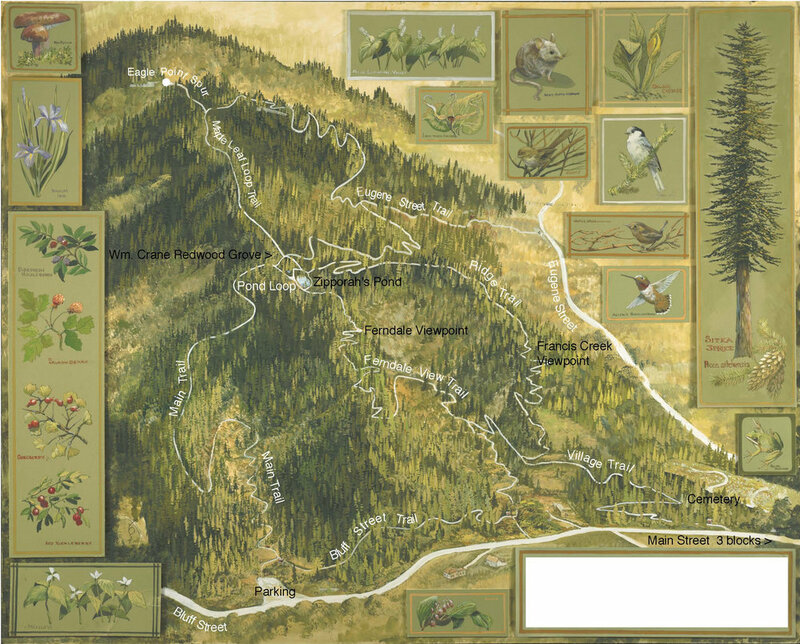 This 110-acre nature preserve is home to a mature Sitka spruce forest (rarer even than redwood), a wealth of wildlife (over 60 bird species have been identified here) and several miles of excellent hiking trails, including paths to secluded Zipporah pond and breathtaking views of the verdant Eel River Valley. From Main Street, turn left on Ocean Avenue. Continue straight past the cemetery where, Ocean becomes Bluff Street. Find trailhead located at gravel parking area on right.